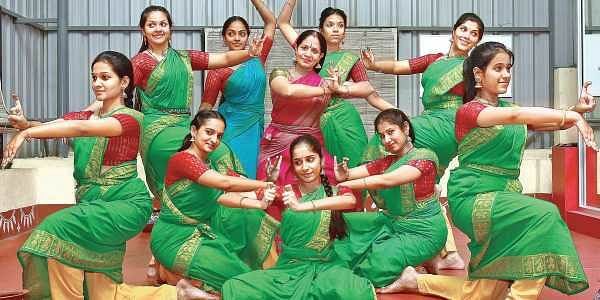 CHENNAI: Through eons, birds, especially parrots, have played a pivotal role in Indian mythology, art, texts and legends. For instance, the famous parrot, ‘Suka’ as the vahana of Kamadev, and the ‘Kunjal’ a parrot in the ‘Padma Purana’, as a preacher of benevolence, show the importance of the parrot as subjects of wisdom and knowledge. To bring the stories of the parrot to the vanguard, Lakshmi Ramaswamy, founder Sri Mudhraalaya Academy for Bharatanatyam, will be showcasing their 14th dance production on the theme Suka Marga. The varnam was written in Telugu by Sankaranarayanan from the Kanchipuram University and later tuned and recorded in 2015. “I had done quite a few works in Tamil and wanted to try a piece in Telugu this time,” she says. But whatever she read or received after that had symbols and iconographies of a parrot, and Lakshmi says that she took it as a sign. “If I was a guest for an event, the momento was a picture of a parrot in Thanjavur painting. I stumbled upon several poems about the bird and even my students began seeing and receiving images of a parrot everywhere they went. I didn’t know if I was chasing the parrot or if it was chasing me!” she laughs. Gathering several songs and poems connected to the parrot, Lakshmi began weaving a narrative. “Banabhatta writes about a parrot acting as a moral companion and guardian to a woman who is alone in the house. Her husband has been away for a long time and she wants to go away from the house in search of love. But, the parrot begins narrating a story every night for 70 days until her husband returns. That was a very interesting story but, to present it on stage is a Herculean task. There are limitations to the aesthetics one can bring in a live performance,” she explains. The margam will have works of Tulsidas to Purandaradasa, weaved in unison to match the sensibilities of the audience. “How Tulsi Das chants the Rama Nama to seek his blessings and gets enlightened by a parrot on the banks of the Chitrakoot will be showcased in the performance,” she says. The production will give insights into several other stories including the conversation between Rambha and Suka maharishi, often called as the parrot-headed sage. “I want the audience to take away something from the performance. The parrot symbolises good luck, charm, knowledge and enlightenment. I want the audience to take back all the philosophies that are being spoken about,” she shares. The production is being partly supported by the Ministry of Culture, India and will feature a total of 10 professional Bharatanatyam dancers.